DA provided supporting tree and landscape advice to CF Architects for this building conversion at Fennies, Wimbledon. 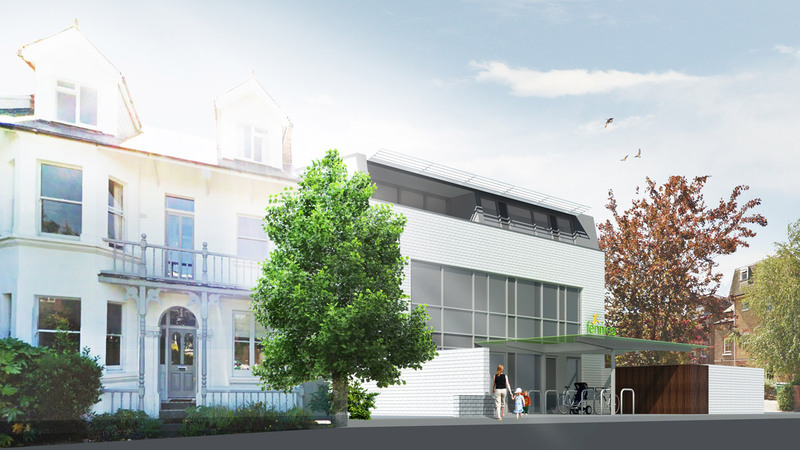 This mixed-use development includes a new day nursery with apartments above along with streetscape improvements. DA has completed a number of projects across the south-east for this client. As the government places more emphasis on infrastructure, developments such as motorists’ services will come under the planning spotlight. Achieving the correct balance between commercial viability and acceptable siting, design and external appearance is critical in planning success. 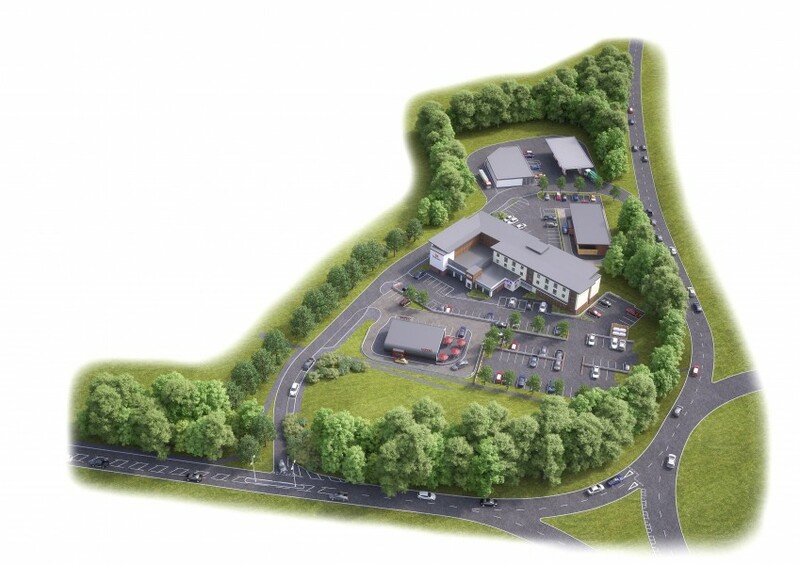 Working for Lamron (Holybourne) Ltd, DA advised the design team on the proposed A31 motorists’ services on landscape impact and design through public consultation to full planning submission. The illustration by Fibonacci architects shows a terraced layout set within a reinforced landscape envelope. DA is also involved in infrastructure projects near Gatwick and Heathrow airports. The provision of appropriate considered design is essential for successful work in planning conservation areas within the AONB. 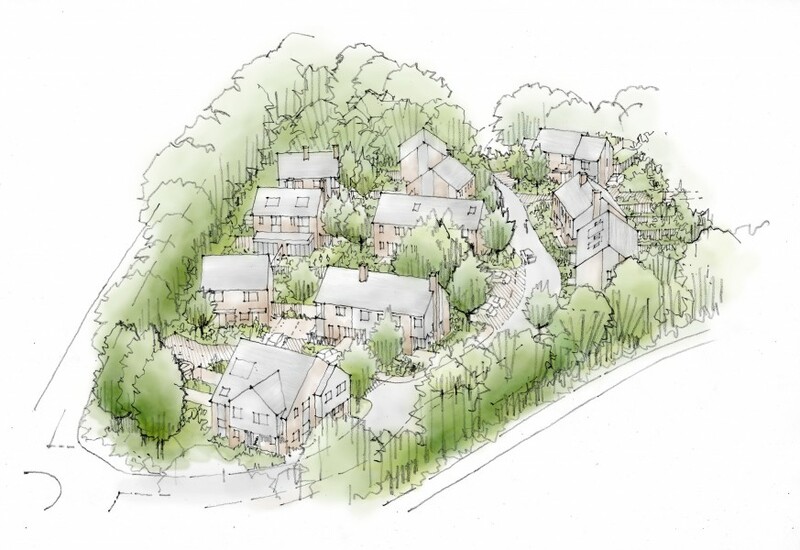 At a sensitive edge of settlement site in South Oxfordshire DA co-ordinated the preliminary tree, landscape and phase 1 ecological reports for Lytle Associates architects to inform the illustrated 25 unit residential development. Mature boundary tree retention together with suitable highways access were key issues that informed the planning application. Masterplanning larger scale projects place importance not only on exploiting existing site assets, but also links with the local community. 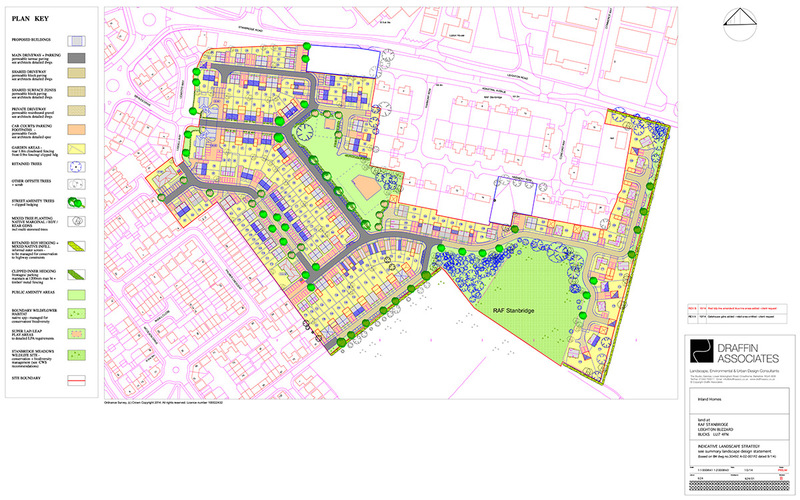 Acting for Inland Homes plc, DA assisted on the redevelopment of a redundant RAF base near Leighton Buzzard. The proposal included 170 units of mixed residential units with a neighbourhood community centre, local park and nature reserve with links to the local footpath and transport network. Working with BM Architects the design included a landscape strategy, detailed design and 5 year management plan. Planning approval was granted in Spring 2015 with phased construction by third parties anticipated until 2018. DA is involved on a number of masterplanning projects including restored gravel workings, mixed leisure and commercial development and a new garden village adjacent SSSI wetland habitat. With the government’s ‘right to buy’ initiative and the latest NPPF planning policy, the need for potential development land to be effectively promoted is essential to win planning support. DA is actively involved on a number of masterplanning sites with public meetings and exhibitions used to engage with the local community. The feedback on environmental issues then informs the most appropriate design. Current outline planning projects extend from Essex to Gloucestershire including the 120 unit Farnham residential proposal with HR Architects illustrated. 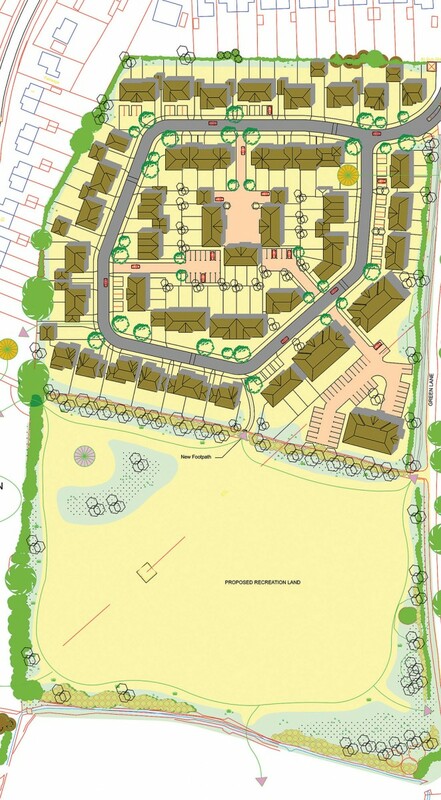 DA was part of the successful design team to gain approval for the 74ha site that included 64 new units at Oxlease Farm, near Romsey. This project includes the SSSI former Barge Canal and securing environmental enhancement in the Test Valley. On behalf of Lamron Estates (Redhill) Ltd a detailed planning application was submitted for mixed commercial and residential development at this important town centre site near Redhill railway station. 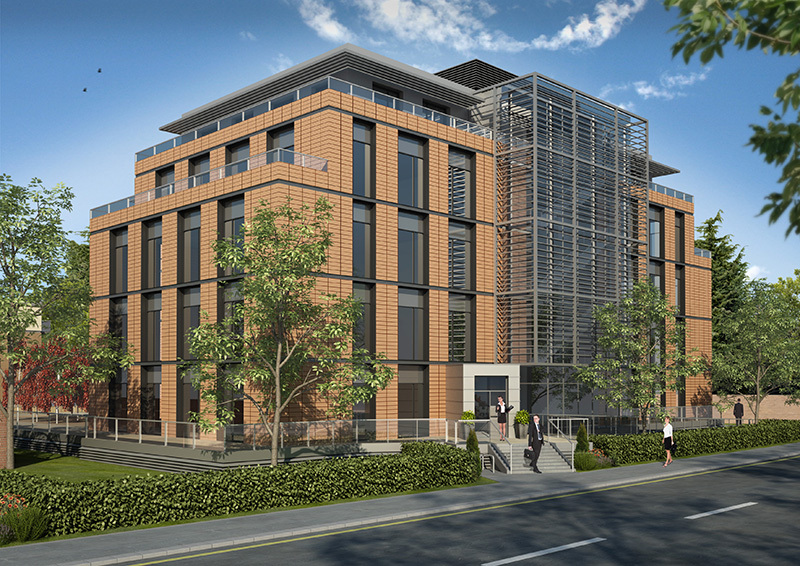 The existing site contains a derelict office building and the proposed design provides a flexible modern working environment and rear residential units around the better boundary trees. A raised south facing landscape courtyard is proposed over basement parking and emphasis has been made on permeable ground finishes for the optimum SUDS rating. DA supported Fibonacci Architects on the masterplan.